What color shoes do you wear with a white suit? Choosing perfect suits according to your suit color is not a difficult job if you have couple of basic colored footwear in your personal collection. 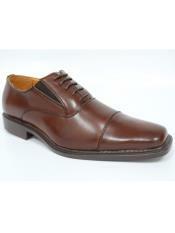 All men should own some of these basic colored shoes along with some off-beat colors for attending special occasions. Now, you must know that the foundation shoe colors are black, brown, chestnut, cordovan colors and more. Most of these colors go well with most of the suit colors. Now, white dress are one of the classic that men with refined taste of style and fashion should possess. However, white, ivory or any cooler color tone in shoes is rare compared to warmer and richer color tones. While you are wondering what color shoes do you wear with a white suit, you should know that you have to wear something in contrasting colors to break the monotone color of your suit. 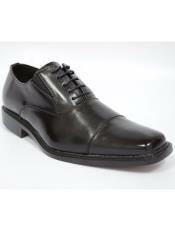 According to experts, Italian leather shoes as well as black and white textured shoes look great with white suits. You have to remember that whatever colored shoes you choose to wear with white suits, it should look good with any color of dress shirt that you will be wearing under your suit jacket. Usually almost all foundational shoes are also purposeful or functional for serving different types of purposes of your life. Now, if you are searching for uncommon colors in shoes, burgundy, taupe, oxblood are some offbeat colors that will help you to stand out in a crowd. However, most of them look good with earthy tone colored suits rather than cool shades. You might have noticed that most of the people, who prefer white color themed wedding, tend to wear ivory colored shoes as they come up with varieties of style along with dyeing facility. You can even compare your dyed shoes with a piece of fabric of your outfit. When you are keen to dye your wedding shoes keeping the wedding outfit in mind, you should not forget to check the other features like comfort, material quality, durability, authenticity, choice of embellishment and more. Whether you admit it or not, value of universal shoe color will remain until eternity as people are able to interchange their attire and footwear according to nature of events. If you are attending summer events, you should always stick to white shoes with white suits which mean all white dress. You can easily brighten up your all white outfit with a dash or pinch of color in handkerchief, tie or accessories. However, if you are attending any formal program and which is not even a summer event, you should wear black shoes with white suits. Therefore, what color shoes you should wear with white suits that entirely depends on the nature and purpose of occasion.